Automatic waste segregation machine classifies all kinds of rubbish into several useful things, like plastics, metal, bricks and stones, organic matter, etc. Adopting waste separation machine not only recycles the waste around us but also protects our environment and makes our planet more beautiful. Therefore, the automatic waste sorter is warmly welcomed in foreign countries. Do you know what are end products produced by solid waste separation equipment? Or do you know what are their uses? 1. The organic matters. City waste contains a large organic matters, including leftovers, leaves, etc. 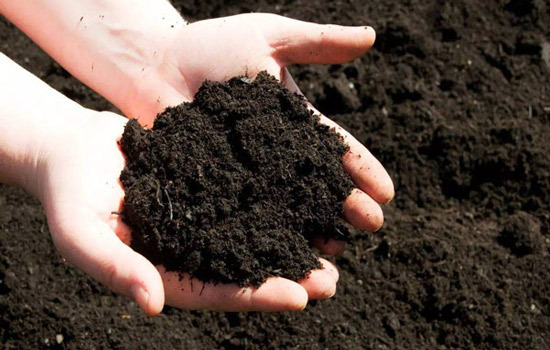 Through segregation of municipal solid waste, these matters can be used to make compost by anaerobic fermentation. 2. The inorganic matters. We can use these matters like bricks, stones, construction materials, soil, to make bricks and sent to construction sites. 3. Metal. 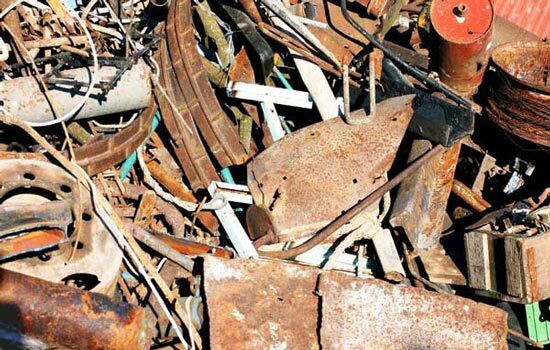 After separation of waste for recycling, these metal can be packed into blocks. Also, you can reprocess these metal to other metal products. 4. Plastic. First, we can use several plastic to make clothes, disposable bag or trash bin. 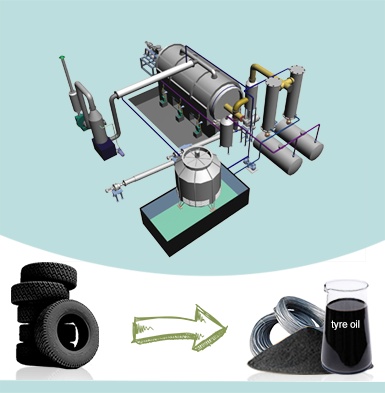 Secondly, it can be reprocessed by plastic pyrolysis machine, which can turn plastic to oil. 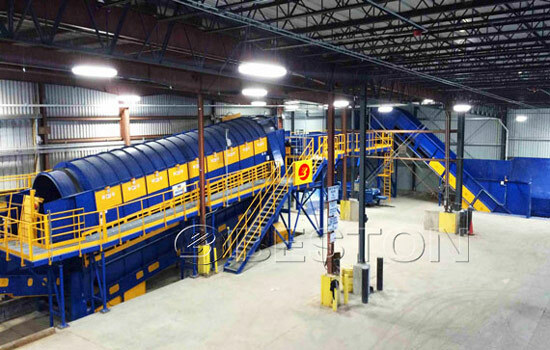 The entire set of Beston automatic sorting system takes advantage of advanced technology to sort these waste. 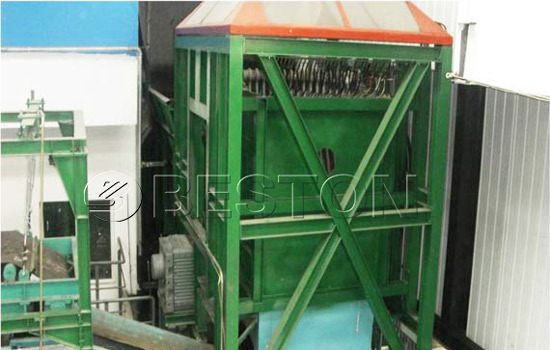 Compared traditional waste separation equipment, this machine has high work efficiency and can completely recycle the municipal waste. There are four main components in the automated waste segregation system which can fully show our professional technology. 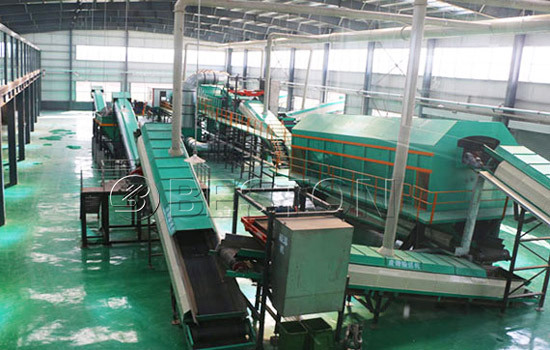 Big Waste Sorter: this machine can completely pick out the large pieces (over 90% sorting rate). Other material also can be pick out, such as sandy waste, organic material. At the same time, the large plastic is broken by bag breaker, which achieves the effect of uniform distribution. 1. The sorting rate is high, so it avoids the condition of existing large impurity and damaging the next automatic garbage segregator. 2. It greatly improves the working environment of workers, and realizes the goal of automation and mechanization. 3. It separates the large garbage and sandy at the outset. 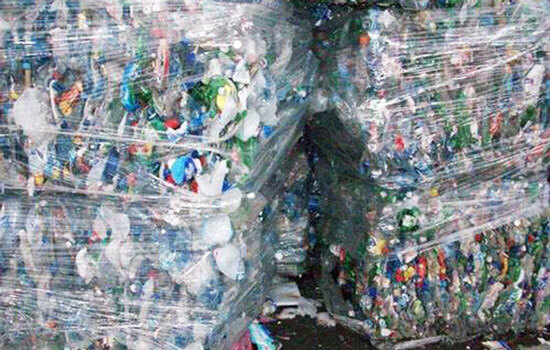 At the same time, it also can break bag, as well as distribute the waste evenly in the waste sorting plant. Big Waste Crusher: this machine mainly crushes large waste which is not so easy to deal with, such as broken clothes, cotton quire, bag, furniture, summer sleeping mat, stones and sandy, cement block, etc. The broken waste enters into the workshop and takes the second sorting. The combustibles enter into incineration workshop. Inorganic material enters into building material workshop. 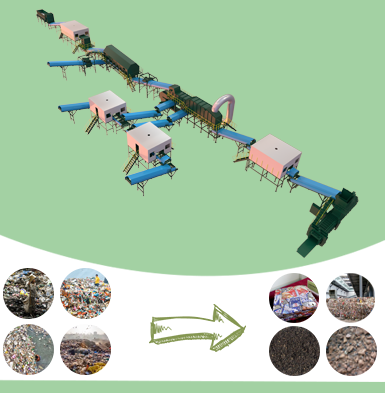 Bag Breaking Machine: it is one of the main automatic sorting machines in municipal waste sorting. This machine can crush large garbage automatically. Its special design makes no twine in the sorting process. 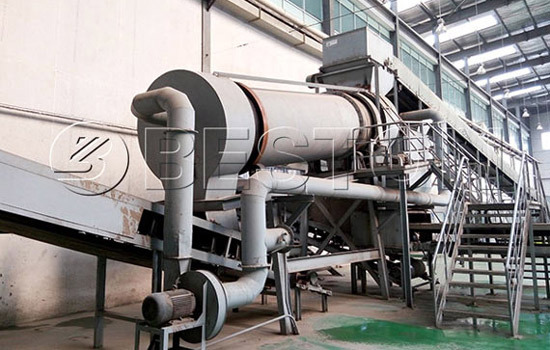 The waste separation technology is superior than other similar equipment. Special design makes the solid waste separation system stable and safe. 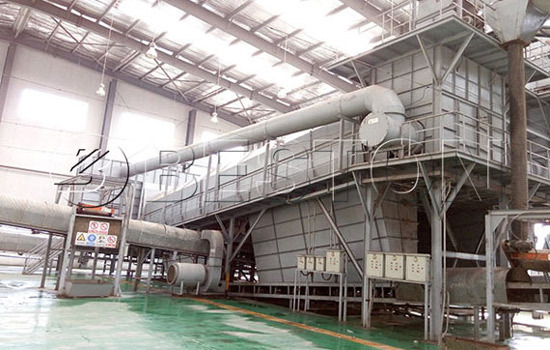 Also, the garbage separation machine has large productivity and low energy consumption. Therefore, it is favored by many customers. Besides, the main parts adopt high-quality steel, so its service life can be prolonged. 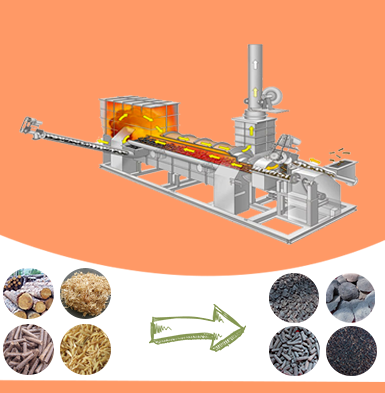 Comprehensive Winnowing Machine: the advanced technology of comprehensive winnowing machine greatly improves the efficiency of waste seperation and decreases the cost of labor force. Due to the closed operation, the working environment is better than a few years ago. Therefore, it is a leading waste separation machine in this field. 1. The municipal waste is put into loading platform in the waste separation plant. At first, manual labor will select the large pieces out, such as closestool, furniture, stump, large building waste, etc. Then the waste is delivered to adjustable uniform garbage distributing machine. The waste is distributed evenly on this waste segregation machine. So when the waste is sent to feeder, the waste can be greatly handled and the next work will be more smooth and efficient. 2. The belt conveyor in the waste separation system sends the distributed waste to manual sorting platform. Workers pick out the large materials, such as quilt, cotton dress, big branches, long stick, bricks, stones, bottles, hazardous waste, etc. The first one is organic compound. After selected by magnetic separator, the waste can be directly put into composting workshop. The second one is large pieces which need several processes to screen by solid waste separator. Firstly, magnetic separator select out the iron materials, including iron beverage cans and iron package cans. Then the conveyor sends the rest of the waste to bag breaker. The bag breaker will smash all waste into pieces. And these pieces are delivered to comprehensive winnowing machine. Comprehensive winnowing machine can separate three material: light plastic, heavy materials (bricks, stones, silica gel, porcelain and glass etc.) and mixtures (hard plastic, fabric, rubber products, wet paper, etc.). 4. The impurities in the light plastic are selected out by manual labor on the manual sorting platform. The plastic is packed by packing machine. The used things like rubber overshoes in the heavy material is selected out by manual labor. 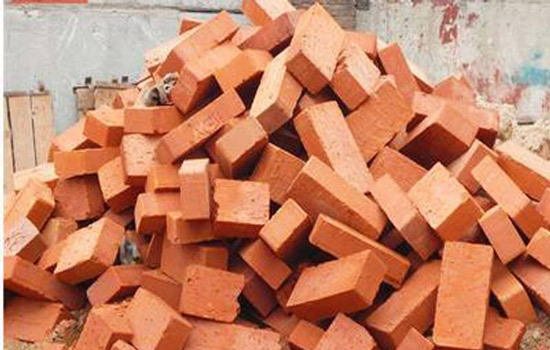 The rest of heavy material in the garbage recycling plant can be dealt with by landfill or recycling to make bricks. 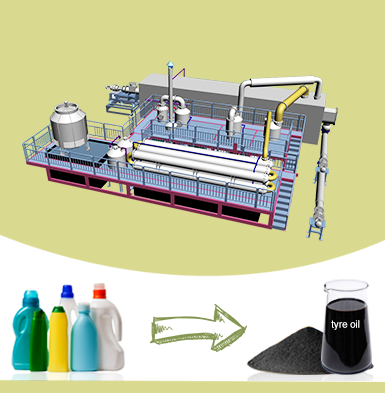 The used material in the mixtures can be selected out, including hard plastic, fabric, rubber products, large organic material, etc. We can pack these selected material by packing machine, and then sell them to other plant. Actually, through automatic waste sorting, all kinds of materials can be differently dealt with in the light of your demands, such as packing, landfill or burning. What are Advantages of Beston Machinery Automated Sorting Machine? 1. The design of solid waste separation equipment is reasonable. At the same time, in order to improve work efficiency and decrease the labor force, we constantly upgrade the automation level of automatic waste segregation machine. 2. The blocking phenomenon doesn’t occur in the whole sorting process. 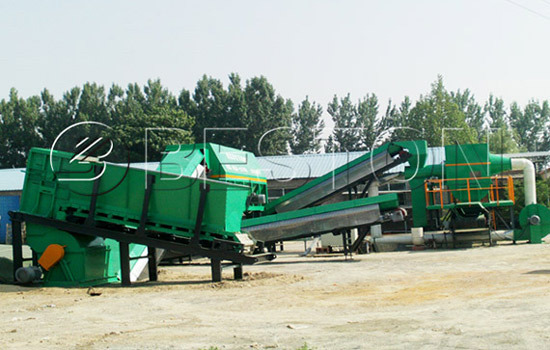 The connection among these machines is smooth, so the delivery of all waste is unobstructed. 3. Our solid waste separation system adopts superior parts. Steel has high anticorrosion ability and long service life. Conveyor has wear-resistant, anticorrosive and acid-proof function, so it is durable. Besides, for the sake of operator’s security, we design emergency stop button on the conveyor. 4. There are conversion switches, which fully guarantee the security of people and equipment in an emergency. The switch is put in an place which is easy to manage. 5. The waste segregation system is high automated. Especially, the PLC can effectively manage the whole line. 6. It is easy to use and maintain the complete set of automatic waste segregation. Because when we design Beston solid waste management plant, we thoroughly consider requirement of convenience and efficiency. Beston solid waste segregation machine has been exported to Uzbekistan in 2017. Adopting the whole set of automatic waste segregation machine not only improves local environment but also drives local economy. Therefore, the industry is warmly welcomed. And both parties are looking forward to next cooperation! 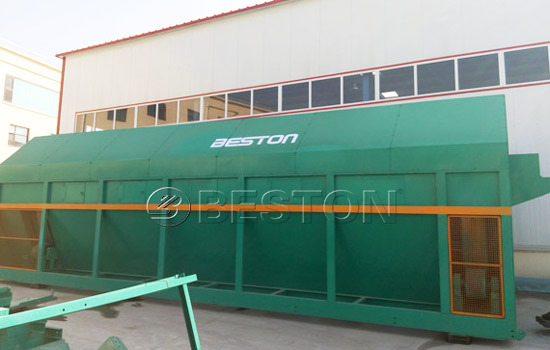 We Beston Machinery have been specialized in manufacturing automatic waste segregation machine, plastic pyrolysis machine and carbonation machine for many years. We have professional group to design machine and test machine. The quality is guaranteed. If you have interest in our segregation machine or have doubt about our plant, we welcome your consultation at any time.